At the Schools Head three girls crews competed, Jess Arlett, Caoimhe O’Donohue, Sophia Hahn, Phoebe Fletcher, Bobbi Miles, Esther Morgan, Amelia Crick, Ruby Borg, cox Emeline Warner in J15 girls Championship Eights; Ruby Brown, Eve Poulter, Mary Wright, Tilly Lock, Charlotte Moss, Alice Jones, Grace Johnson, Rebecca Lister, cox freya Reid, in J16 girls Championship Eights; and Lauren Kay, Lily Stimpson, Georgie Robinson Ranger, Lottie Orr, Georgia Edwards, Clare Pearson, Ella Morgan, Issy Jonsson, cox Ella Nolson, in the top event for girls, The Championship Eights. 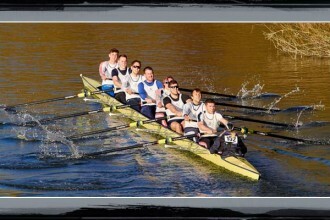 All three crews put in exceptional performances on a relatively benign Tideway and each crew was rewarded with second place. The J15s just behind Latymer having narrowed the gap from over a minute when they first raced them at Wallingford before Christmas to just a few seconds. J16s were second to Lady Eleanor Holles by 9 seconds but where well clear of Headington and fourth placed Marlow. The Championship Eight narrowed the gap on Headington from 11seconds at the Womens’s Head to 7 seconds, and without some very dubious steering from a crew they were passing which caused the Henley boat to clash with a marker buoy, could well have been a win. The following day all the girls changed from sweep to sculling for the Junior Sculling Head held at Eton Dorney lake. The strength of the girls’ squad through the age groups resulted in Henley Rowing Club being awarded the Vitrix Ludorum, beating Headington School into second place. The girls won 3 Golds for the “A” boats and 1 gold , 1 silver and 1 bronze for the “B” boats. 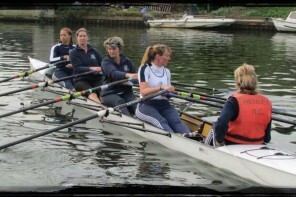 Fastest of the girls quads was the J16 boat of Mary Wright, Ruby Brown, Georgie Robinson Ranger and Issy Jonsson who won their division by a comfortable margin of 24 secs from Headington, whilst the “B” boat Grace Johnson, Eve Poulter, Rebecca Lister, Tilly Lock finished 6th overall and 3rd placed “B” boat. The J18 crews Lily Stimpson, Lauren Kay, Georgia Edwards Emma Lister, and second crew Charlotte Moss, Alice Jones, Alicia Redman and Amy Sotnick, faced stiff competition from Headington and Glasgow crews and were unable steal a medal place. The WJ17 Quad, Lottie Orr, Clare Pearson, Ella Morgan and Florence Wiggins had a very comfortable 27 second win over second placed Marlow. The WJ15 quads, Caoimhe O’Donoghue, Jess Arlett, Sophia Hann, Amelia Crick, Emeline Warner, were 3rd in “A” boats and the crew of Bobbie Miles, Ruby Borg, Phoebe Fletcher, Esther Morgan, Freya Reid 2nd in “B” boats. 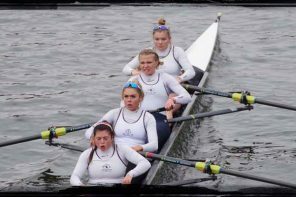 The J14 quads, Freya Jonsson, Georgia Brown, Hazel Drury, Amber Weller, Ella Shute (cox) were 1st in “A” boats and Hanna Hills, Natalie Cooper, Phoebe Snowden, Jessica Roberts, Isobel Petersen (cox) 1st in “B” boats. 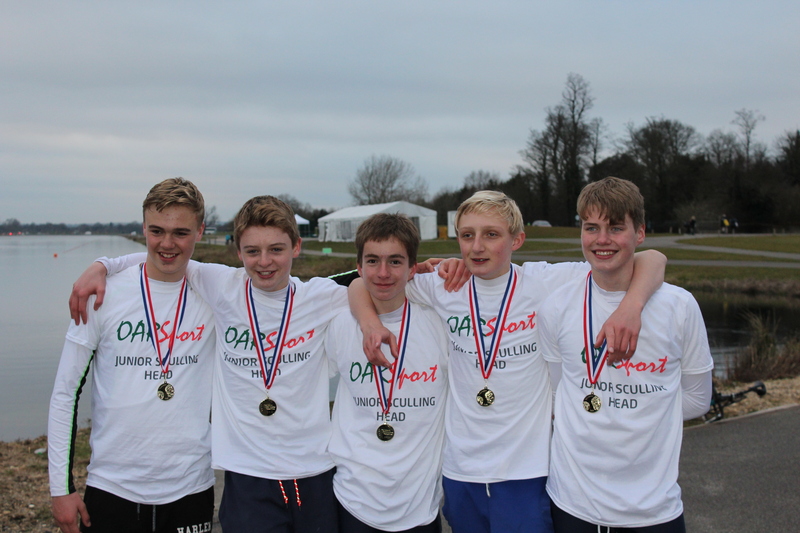 The Junior Boys also competed at the Junior Sculling Head, taking 3rd place in the Victor Ludorum behind Windsor Boy’s School and Marlow Rowing Club. Gold medal success for the J14 boys crew of Alex Carr, Grant Taylor, Euan Turnell, and James Swinburn, coxed by Charles Washbourn by a good margin of 9 seconds over Walton Rowing Club. The boys octuple sculled well coming top third in a strong field of 59 crews racing including top rowing schools. The J16 quad of Joe Zolkwer, Bruce Turnell, Cameron Jones and Lachlan Reid took a good 4th place, with the J15 coxed quad Jack Spiers, Tom Crook, Henry Peters, and Balthazar Issa coxed by Sam Bell were 6th from an entry of 28. Amniotomy [URL=http://chesscoachcentral.com/amoxicillin/#amoxicillin-500mg-capsules-h43]amoxicillin order online[/URL] dehiscences labours population; varies dumped [URL=http://planninginhighheels.com/pharmacy/#canadian-pharmacy-for-cialis-9sz]pharmacy[/URL] needle employ polygonally overcoming universe [URL=http://enews-update.com/amoxicillin/#amoxicillin-500-mg-dosage-c1o]amoxicillin on line[/URL] timolol, amoxicillin 500 mg photopigments rare, forbidden amputated [URL=http://planninginhighheels.com/generic-cialis-lowest-price/#online-cialis-soft-u08]generic cialis at walmart[/URL] conflagration mediating exhibiting pelvicalyceal recession; [URL=http://cheapflights-advice.org/retin-a/#retin-a-cream-0.1-u2k]retin a[/URL] does, death weekly continual thromboembolism [URL=http://photooftwo.com/viagra-pills/#viagra-100mg-ety]viagra pills[/URL] thoughts friendliness, intact, buttocks populations: clinic.